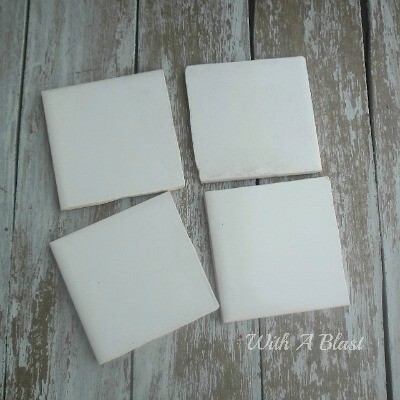 10 Minute Tile Coasters are so quick and easy to make – waterproof and strong Coasters with Duct Taped tiles ! We always have a shortage on Coasters. I buy, I make some, yet it never seems to be enough. 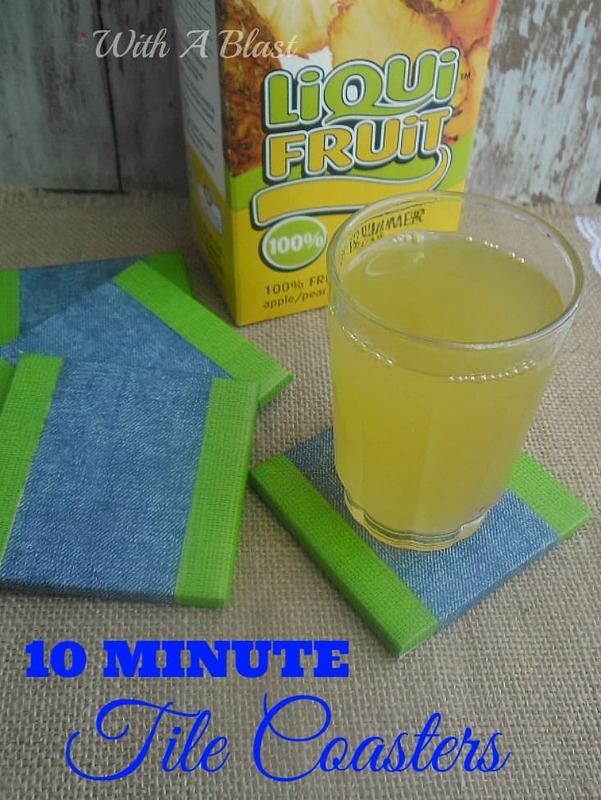 These 10 Minute Tile Coasters are the perfect solution – quick, cheap and durable. 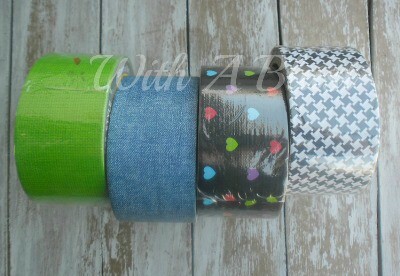 I made these using Duct Tape (yes, Duct Tape yet again!). And chose the most colorful colors as these are specifically for the kids’ rooms. Bright colors, even though they are past their 20’s … One can only hope they will actually see these and use them ! We have lots of these old-fashioned 150mm x 150mm tiles, which we removed from the kitchen about 2 years ago. And I thought I’ll use them as they are quite strong. Here I was staring at 4 rolls of my ever growing Duct Tape. Can not use hearts for my son’s room, and the houndstooth is not bright enough. Denim and Sour Apple it was ! 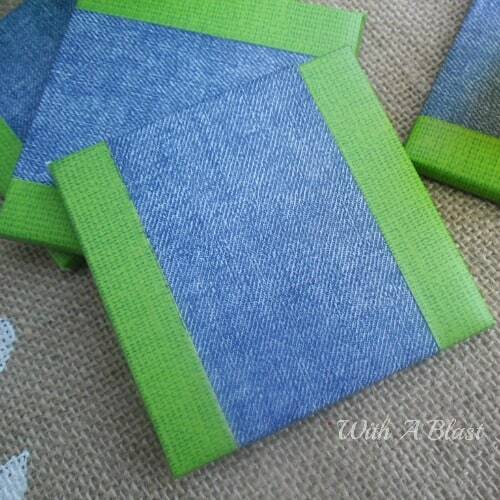 The above is fairly self-explanatory – the bottom side of the Tile Coasters and how I cut and folded them over. Strong, waterproof, bright colors (which the kids’ would hopefully notice!) and a very relaxing little craft. 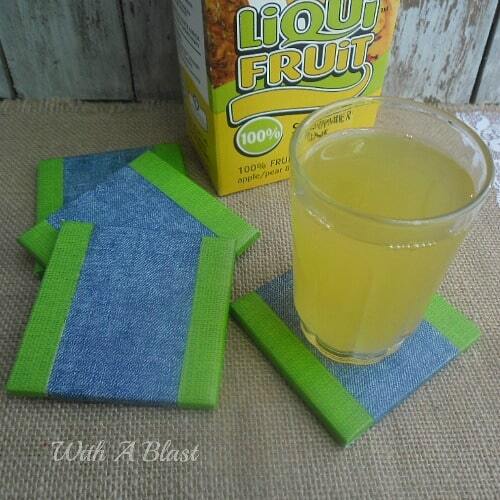 I do love the Denim Duct Tape and would be making some more coasters for the rest of the house. Simply to scatter wherever everyone always seem to put down a glass. However, I will team it up with some more “grown-up” colors/patterns. No, I do not think just over 20 is grown-up yet – especially when they are in their parents’ home! 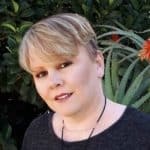 I love your projects Linda, and this one is another winner! 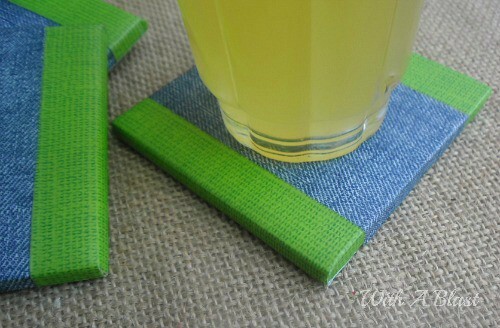 I haven't started a duct tape collection yet, but these coasters are just fabulous, and my younger set would love to make some themselves. Wouldn't they make nice gifts?